I don't know about this what's it like? I recently got Beauborg from 1978. It's bizarre. One long improvisation on a Yamaha CS-80 with the ring modulator in overdrive. Lindstrom said it was his Metal Machine Music. While that doesn't give you any idea of what it sounds like, I know what he means. I really just know his "Blade Runner" soundtrack (oh and the soundtrack from "Chariots Of Fire"). What else is worth checking out? The Dragon and Earth, some Aphrodite's Child. I think I've heard something from his collaboration with Jon Anderson, but I can't remember now. I love Jon & Vangelis's Friends of Mr. Cairo, but I haven't heard that one... Is it good? As for Vangelis's solo albums, Heaven and Hell is the one I'd recommend getting the first: it's an absolute classic of majestic, sci-fi and fantasy themes with quasi-operatic choral bits. And if you like that one, Mask is kinda similar, though the orchestration and choral bits are more subdued, and more devotional. Opera Sauvage is another favourite, it's more moody and low-key than his other late 70s work, but it has pretty atmospherics and melodies. Albedo 0.39 also has some epic sci-fi tunes (they kinda sound like precursors to early 90s trance and ambient house), but also some wonky prog improvisation that Vangelis sometimes does, which I don't particularly care about. Other albums of his from this era that I dig are Spiral, China, and Antarctica... Basically, anything he did between 1975 and 1985 is worth checking out, if you like beautiful melodies and cinematic atmospheres played with vintage synths. Even Beaubourg has its cool moments, though I'm some really sure why thought he needed to extend an mostly atonal synt improv session into a 40 minute album. Yeah, should have been an 80 minute album really, a missed opportunity there. i bought that album when it came out. i remember "italian song" being very pretty but overall i don't think i was crazy about it. probably would dig the synth textures more now. Listening to 'Beauborg' now, what a blast. I can see the comparison with MMM, though it's nowhere near as extreme. Very reminiscent of Raymond Scott or even Vernon Elliott. I imagine a few people would have bought this after his sucess with 'Chariots of Fire', must've blown a few minds. I don't know this record, didn't know of any further Jon + Vangelis collabs after "Short Stories", which I got in a vinyl haul and didn't like that much. i have this (as MP3s), i dig it--super prog, inna alan parsons/jan hammer way. for me the standouts on this are "and when the night comes" and "he is sailing." horizons is a pretty standard (decent) 20-minute vangelis jam iirc. friends of mr. cairo is the jon & vangelis classic but even that is hit and miss. someone could make a really great jon & vangelis greatest hits. I love "state of independence" from friends of mr Cairo. Yeah, it's great. The Donna Summer cover version is awesome too. don't forget soil festivities! it's pretty low-key, but I love it. My mom used to have China on cassette, all I really remember about it is that it was really pretty. Funnily enough been listening to a lot of his stuff recently. I sort of wish I liked him more because he seems like a sincere and serious musician and I liked Aphrodite's Child a lot. He did tackle a lot of different styles though, the albums I've heard tend to be all over the place and he's made a LOT of albums I've never heard. "Beaubourg" is definitely a brave album to have made but I'm not convinced it's actually all that great, certainly worth hearing though. The comparison with "Metal Machine Music" is less down to how it sounds than the rumour that he dashed it off to get out of a record contract - which I don't believe for a second. Don't know why "Heaven and Hell" is so popular here, I found it to be a right load of pompmous maggoty old cobblers, well first side anyway, almost unlistenable. "Earth" is good. Really though you should try to hear the second half of the "L'Apocalypse des animaux" soundtrack, it's amazing, esp. when you consider it was recorded in 1970(! ), it is, to use the old cliche, years ahead of its time! i dont love heaven and hell, or dragon & hypothesis. in fact besides "earth" his best stuff imo is really the soundtracks: blade runner, apocalypse d'animaux, opera sauvage, antarctica. the Chariots of Fire soundtrack is really, really fantastic, especially "Abraham's Theme"
guys, "see you later" is the killer album. yes the chariots of fire sdtrck is great!!! cant blieve i forgot it. "bounty" is okay. I saw Near Dark for the first time the other day and the Vangelis score was perfect in context. I'm not sure if it would work as a stand-alone album. wait I thought Tangerine Dream did the music for that. you don't love 'dragon', max? Sorry for the temporary derail. I too love Aphrodite's Child and Albedo. so interesting because it's...pretty good? but it's also...deeply weird, and right up against the edge of awful? C'mon c'mon c'mon c'mon c'mon c'mon c'mon c'mon come on! only one I have is Albedo, gonna look for some of these others. thanks thread! 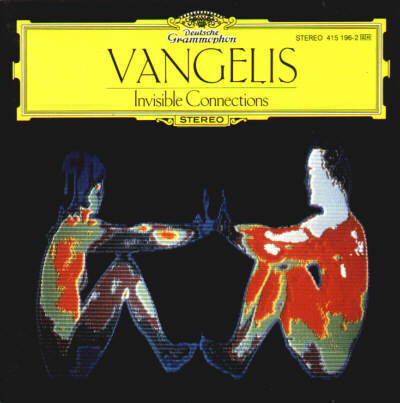 kinda surprised there isn't like a 3CD "best of vangelis" set, it'd be alot easier to just recommend that than be like, "buy any album from these two decades and youre bound to find 3 or 4 great tracks!!" If you're like me, you never remember the bad tracks cuz you skip them. Meaning these albums are ALL GOOD. And all like a dollar anyway. 2nd disc of the ecent "Blade Runner" OST reissue is marvelous. Will rep for all this guy's stuff 4ever. Even though there IS some dreck. But outside of a few geniuses who hasn't made dreck?